with a fresh appreciation for how sound impacts their daily environment. peacetime and conflict. It’s a revolution to remember! 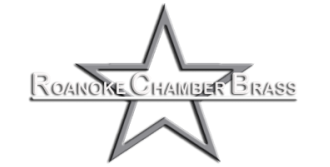 Roanoke Chamber Brass visits your band room to provide coaching,demonstration and performance, with an emphasis on student participation.Concepts presented can be customized for your particular ensemble. Topoff this extraordinary educational experience with a performance by Roanoke Chamber Brass either as an ensemble alone or in conjunctionwith your band at a concert!